The status of booking is from 予約状況, but be sure it is not timely, so please contact to us. 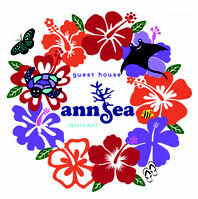 ・after transportation is decide and tell us 1 month before you arrive to our guesthouse. ・arrival time to our guesthouse or pick up time to airport if you need. ＜notice> price is going to change from 2019/April/1 please contact to us! Following charge is the charge for 1 person per 1 room, not including meals. If you need meal please reservation at booking the room. ＊all price is needs to plus 8% of government tax. ＊One in case of 2 children, please pay the charge for 1 adult. We　have two rooms, Japanese-style room capacity is 5people and Western-style capacity is 4people，and main building with restaurant, and also have mini-mart. only a case, if there is no reservation , so please tell us if you want. ＊Please contact to us about the person hoping for time of the other than above. ＊We wish to know that you can inform beforehand if there are an antipathy and something which isn't liked. * every Sunday, we are close the service of dinner. (not decided place)we declined the stay, please understood. can't be shouldered, so please take care. After　check-in we will give you room key, and keep your key until check-out. You don’t need to　leave your key to front desk. Be　careful not to be lost、when being lost, you have to pay for the special charge. but also there is not good area in resort. An electric light and water necessary to a life are in something very valuable for Ishigaki because of a solitary island, so please cooperate eco to maintain important nature. ◎ When the air conditioner and light is on because it isn't a self-dynamic electricity turning off system, a staff will enter your room and put it out, so please accept it. ◎ A washing machine is requesting use up to once for 1 day. ◎ We are not preparing a toothbrush and night wear. ◎ It's so natural surroundings, in the evening close a door and rest because there are a lot of bugs, and keep the comfortable temperature, and please relax. We aren't cleaning every day to keep everybody's privacy. More than 4 nights we will exchanging sheets and cleaning your room on the ５th day. In a charge, we can accept the cleaning the room, so please tell to us. shoes at the room, it can go inside of restaurant, wooddeck, second floor. It's discreet in trash to use resources effectively in Ishigaki‐city, install a trash box in each room. ③ Plastic bottle and empty can, and other kinds of bottle. ＊If there is a thing which isn't understood, please ask a staff. ① An emergency exit will be a front door or wood deck side wall window. ② In case of emergency, a staff lead you to saftyplace so please follow directions. ① We don't accept payment with a credit card, so in cash, please. An ATM service is in a post office about 7 minutes on foot, or Ishigaki　airport. * Sometimes we can’t offer it to you by the stocking situation, so please accept it. *Please accept that if you loss or in case of damage, you have to pay for it. ＊all price 8% goverment tax must add.